The first thing I learned about Allu Arjun, from one of you lovely people in the comments sorry I don’t remember who, is that he changes his hair for every movie. Which seemed like a very odd trademark to have. And then I watched some of his movies, and I still didn’t get it. It kind of made sense in Aarya 2, where the whole film existed in this kind of hyper reality and Allu Arjun’s hair was just part of it. But in other films, it was like Allu Arjun was more focused on his hair than on his performance. This is the film where it finally clicked for me. His hair IS his performance. Or, rather, his style of performing is always hyper-real, always about playing the role of a hero rather than just playing the character who is the hero in this film. If you see what I mean. He questions the whole reality of the film world by insisting on making at least his performance consciously un-real. This is a film that could have easily been done “straight”. A serious actor playing all the anguish of the situation, giving big dramatic speeches, trying to save the world. But because Allu Arjun is in it, it isn’t quite that. It’s someone play acting at being anguished, at giving big dramatic speeches, at actually thinking some film hero can save the world. And this is why the performances I find most impressive are the two heroines, Nithya Menon and especially Samantha Prabhu. Because they have to be slightly unreal and work with Allu Arjun’s unreality in their scenes with him, but also real in their scenes with everyone else. Samantha matches Allu Arjun a little bit better, manages to be both superficial and just plain fun at the same time that we believe her feelings are real. But Nithya is darn fun too, strolling around being a little bit too cheerful and confident in the middle of terrible situation. Of course, what really makes it work is the title character (S/O Satyamurthy= Son Of Satyamurthy), Prakash Raj, Allu Arjun’s father. Because just as Allu Arjun is slightly too much, Prakash balances that by being slightly too little. Seeming like the pleasant casual guy you might meet on the road, somehow accidentally wandering into a movie. Allu Arjun starts by introducing us to his father Prakash, a rich man who is always willing to open up his wallet and help others. Allu Arjun has a charmed life, he is planning a marriage to a woman Prakash picked out for him, he leaves the country for one last bachelor trip, only to have it interrupted by a phone call telling him that his father has just died in a car accident. Following the accident, they have lost all their money, and his older brother has had a nervous breakdown. It’s all on Allu Arjun, and he chooses to ignore the advice of fellow rich man Rajendra Prasad who suggests declaring bankruptcy, and instead sell the house and everything else they can and move to a simpler place while he finds work to support himself, his mother, his brother, his sister-in-law, and his little niece. 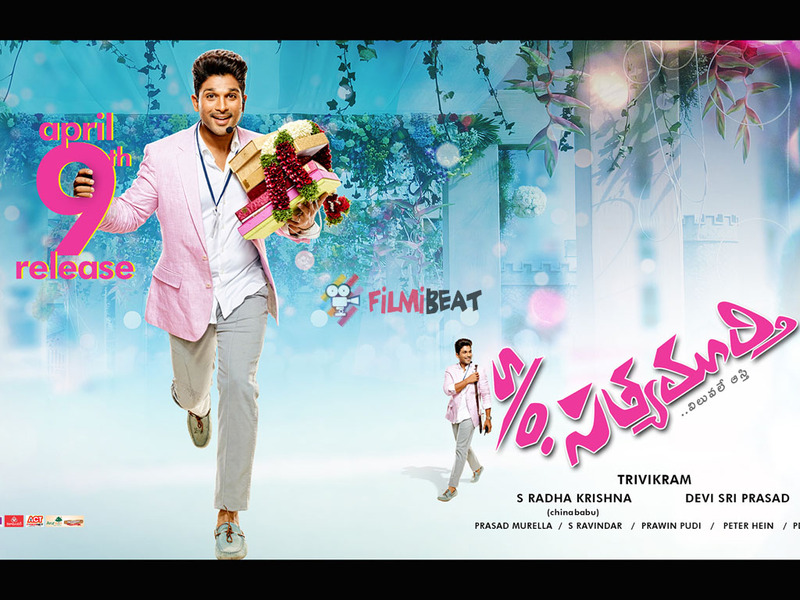 Allu Arjun is desperate for work and takes a job for an old college rival/friend as an event organizer, only to discover it is organizing the wedding of the fiancee who broke the engagement when he lost his money. At the same wedding, he meets the bride’s best friend, Samantha, and starts to flirt with her. Allu Arjun sets aside his resentment and saves the wedding when the dowry goes missing, gaining the friendship of his would-be wife and his would-be father-in-law, and impressing Samantha. He and Samantha start a serious relationship, until he goes to meet her father and discovers it is Rajendra Prasad! Who reveals that he doesn’t trust Allu Arjun, because Prakash before he died sold Prasad worthless land, land in the midst of a dispute out in the villages. And we are off to the village! To find our second heroine, Nithya Menon. And another hero, Upendra. Allu Arjun ends up captured by the village goon Upendra who is holding on to the land. But after saving his life, he is offered both the land and his sister, Nithya Menon. With Samantha and Prasad held captive in the same house to ensure he goes along. Nithya cheerfully agrees, and then reveals that she is counting on the marriage failing, which will give her an excuse to cry and cry and request marriage to the one she really loves. Allu Arjun is now trapped, he has to marry Nithya in order to clear his father’s debts, but he still loves Samantha. And if he insults Upendra by refusing Nithya, he will be killed. He decides to send false information to Upendra’s enemies, allowing Nithya to escape with the man she really loves and solving all their problems. Only for it to come out that Allu Arjun set up the attack, both sides turn on him just as his mother and sister-in-law arrive for the wedding, at which point Nithya recognizes them and realizes Allu Arjun’s father died saving her life, dragging her away from being run over by a truck. All is happy, Allu Arjun and Prakash’s philosophy of doing good whenever possible has reaped rewards, the land sale is resolved, Samantha and Allu Arjun can be married, and so can Nithya and the mans he loves. Like I said, it’s a classic Telugu plot. Noble father, troubled young man who rises to the occasion, city beginning and village ending, and so on and so on. But the hero in the middle is not quite taking it seriously, not in the same way they usually do. Which makes it possible for the audience to not take it quite as seriously as they usually would. It’s kind of ridiculous that Allu Arjun decides to lie to his niece that they are part of a reality TV show to keep her happy. It’s frustrating that he “saves” the wedding by saving the dowry, instead of challenging the concept of dowry. It’s also a little ridiculous that, because of money driving a wedge between them, Samantha’s parents have not spoken in years and communicate through post-it notes. But, see, Allu Arjun knows it is ridiculous! He wears silly hair and behaves in a non-traditionally masculine way because this whole movie is kind of silly, this whole idea of a world is silly. Samantha knows it is a little silly too, she plays up her character’s jealousy, and love and silliness. While still making us believe she is sincerely in love and wants him to marry her and will be heartbroken if he doesn’t, giving us the necessary motivation to keep the plot moving along. Really most of the actors take their cue from Allu Arjun. As is appropriate, that’s what you do with a star lead film. And so they all go just a little bit over the top, a little bit silly. And the plot goes a little bit silly too. It’s not just that Allu Arjun has to stay in the house of a violent village bully, he has to stay in his house but also help hide all the violence from his wife, fights suddenly stopping and she walks in and out of the room, bodies hidden under flour bags, etc. etc. And I love all of this! Was that not clear? I really really love it! It’s exhausting to take movies seriously, to parse out how the heroines are treated as commodities and manliness=violence and true social progress is resisted by the narrative and on and on and on. So much better to just relax and know that they aren’t taking it seriously so the general audience won’t take it seriously so I don’t have to take it seriously. Oh Allu Arjun! Thank you. For a lovely little night off. This entry was posted in Uncategorized and tagged Allu Arjun, S/O Satyamurthy, Thursday Telugu, Tuesday Telugu by mredlich21. Bookmark the permalink. Alluuuuuuu! I adore him, get all twisted up in the plots of his films, but don’t care. Watching him is such fun. Sometimes I catch those, “The Making of …(Insert Movie Title)” on You Tube. Allu seems so focused and intent on getting a bit of swordplay or dialog right. But then he looses it and starts to goof and the whole cast and crew break up along with him. 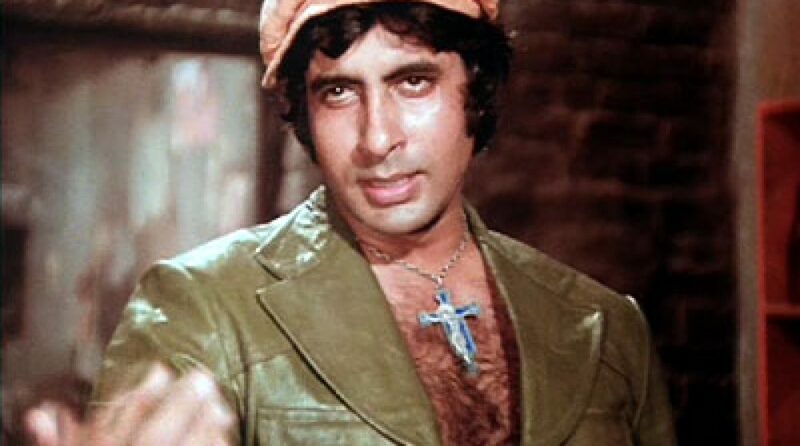 I honestly believe you can’t survive as an Indian cinema megastar if you take yourself too seriously. The industry will eat you up. Yes! Agree. I don’t think you can even take yourself seriously as an actor and survive. Ranbir, for instance, seems to take both his persona and his performances extremely seriously, and it’s lead to him only making a few films and staying so focused on them that he can’t really build his stardom. Allu is really good at drawing a line between real and fake, and what matters and what doesn’t. You chose great movie, because today is Nithya Menen’s birthday too. And Allu and I were born the same day, the same year, so I always feel guilty I haven’t seen even one his movie. Aarya 2 would be a great one to start with, totally ridiculous. You and my friend who was born the same day and year as Varun Dhawan should start a “secret long lost twins” club. with my friends and pasting them in a scrap book. One actress was my special favorite as she was born on the same day, in the same year as l was. She still walks the red carpet from time to time, only now, according to her publicly, she’s somehow 8 years younger than me! I want a press agent. I think this just means you are 8 years younger too! Start using the same date as her, why not? I think I was the one that mentioned the hair thing. Based on current pictures, it looks like he’s growing his hair out again. Allu Arjun’s next movie is with Trivikram again so I’m excited to see what they come up with this time after S/O Satyamurthy. Have you seen Julayi? It was the first time they worked together and it was a really fun movie! I’m excited too! I might even be excited enough to see it in theaters. Assuming the ticket prices aren’t crazy. I don’t think they’ve even started shooting yet so there’s still a lot of time. I just looked it up and apparently Pooja Hegde is gonna be the heroine in this movie. Honestly, she’s kinda annoying though I did think she did okay in Trivikram’s last movie, Aravindha Sametha. Is she gonna be the heroine of Mahesh’s new movie too? Did I see that? Yeah, she’s in Mahesh’s next movie too. I don’t know why but she’s gotten signed for some pretty big movies these past couple years.